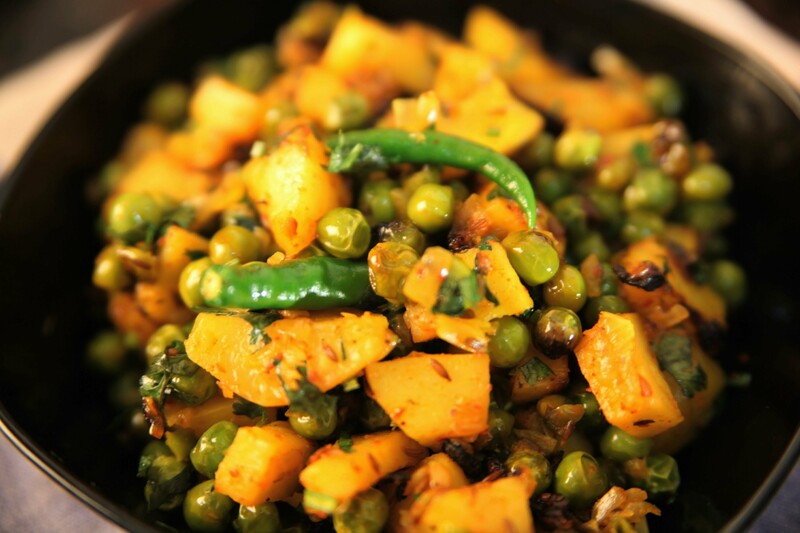 The traditional aloo-mutter combination is here in a new zero oil avatar, tasty as ever! Since green peas are crammed with fibre, it is indeed a health treat for your heart, as fibre helps to remove excess fat (cholesterol) from the body. Heat a non-stick kadhai on a medium flame and when hot, add the cumin seeds and dry roast for about 10 seconds. Add the onions and cook till they turn brown while stirring continuously. Add the ginger-green chilli paste, garlic paste and tomatoes and simmer till the tomatoes are cooked. Add the turmeric powder, chilli powder, garam masala, sugar, peas and potatoes and cook for 4 to 5 minutes. Add 1/2 cup water and salt and simmer till the gravy thickens.